This website contacted 4 IPs in 1 countries across 3 domains to perform 27 HTTP transactions. The main IP is 18.184.99.130, located in Cambridge, United States and belongs to AMAZON-02 - Amazon.com, Inc., US. 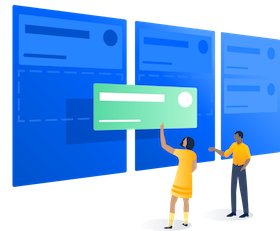 The main domain is prepend.atlassian.net. The TLS certificate was issued by DigiCert SHA2 High Assurance Server CA on October 6th 2017 with a validity of 2 years. DEPRECATED JS - Cookie has been deprecated since 5.8.0 and will be removed in a future release. Use cookie instead. DEPRECATED JS - Dropdown constructor has been deprecated and will be removed in a future release. Use Dropdown2 instead.